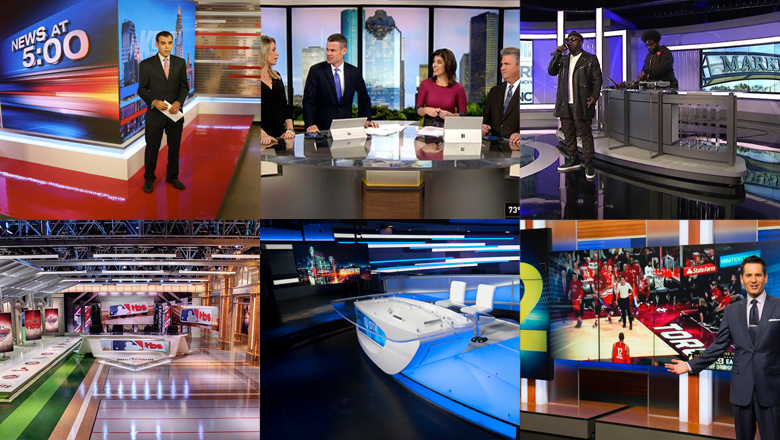 2016 is a year that will be remembered for many major stories from around the globe — and we’ll take a quick look here at the trends that broadcasters around the world used to cover everything from the Rio Olympics, the U.S. presidential elections and thousands of stories everywhere in between. In 2016 in broadcast design could be summed up in one word — it would likely be one three letter acronym: LED. 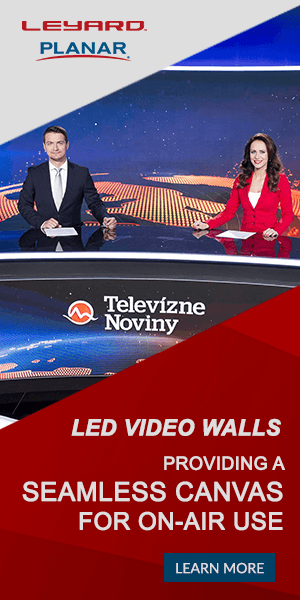 LED has long been a favorite for broadcast designers, used in everything for backlit color changing panels and other scenic elements to the actual in-studio lighting. LED in 2016, however, also came into its own as a more viable option for creating large expanses of video walls. While the cost, especially on seamless panels that span larger spans, still remains a bit out of reach for smaller projects, multi-panel setups with nearly no visible borders popped up on smaller scale projects at an increasing rate in 2016. 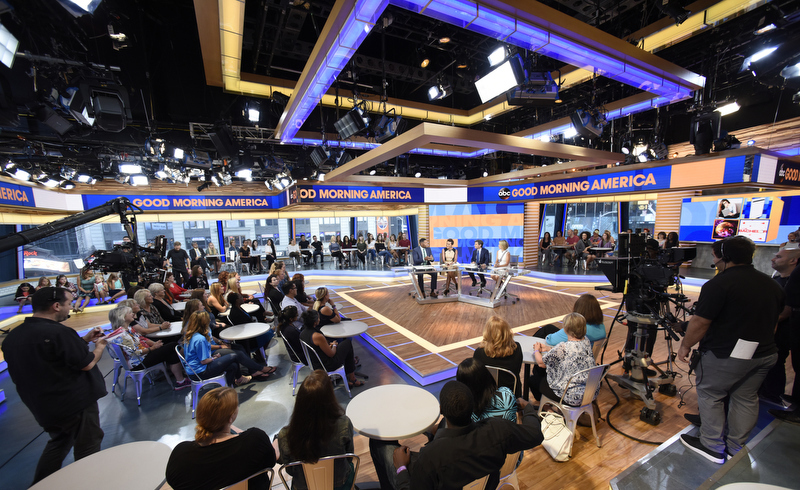 LED uses in 2016 also expanded into more creative shapes and installations, including the zig-zagging video ticker and narrow window columns on the second floor of the “Good Morning America” Times Square studio. The space also includes additional, more traditional implementations of LED walls, including a larger panel behind home base. 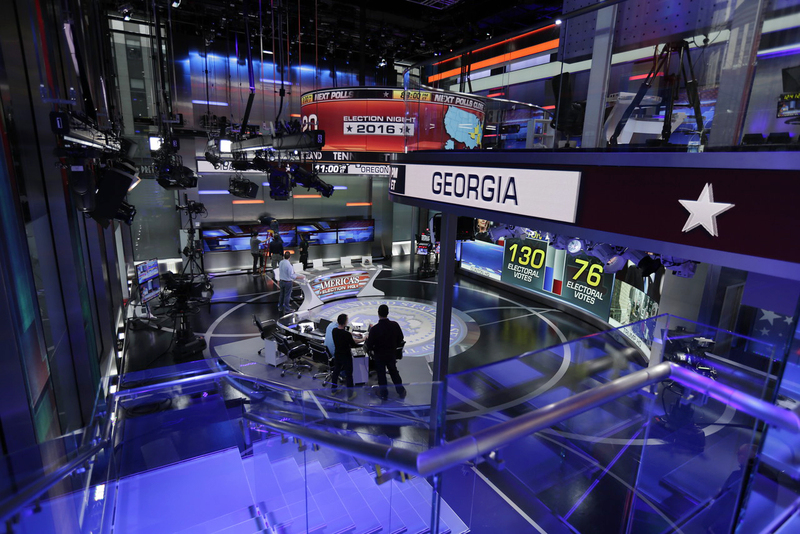 Curved LED has also started to make more prominent appearances in broadcast design, perhaps most notably in Fox News‘ new Studio F, which includes both a 9-foot-tall circular “video chandelier” along with curved video ribbons and walls that mimic the footprint of the chandelier. 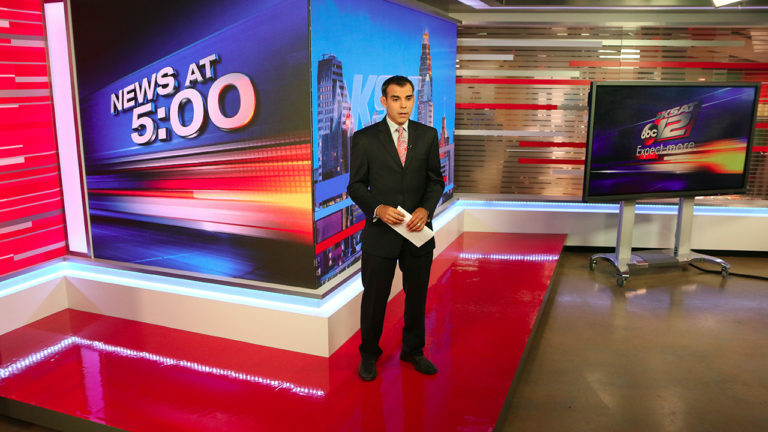 Another notable use of LED is the “flipped” corner at the new set at KSAT-TV in San Antonio, Texas. While having two video panels that intersect at a 90-degree angle isn’t new, this application reversed the concept and instead of having the panels embedded in a corner of two walls, made them jut out into the studio space, allowing for more creative shot options.